Miniature roses may look delicate with their tiny blooms, but they are a surprisingly hardy plant. Although they have been bred specifically to curtail their size, they retain much of the hardiness of rose bushes that tower over them in size. Many can be grown outside year round in zones 6 through 10 and will survive to zone 4 if heavily mulched and protected from winter weather. Their size makes them ideal as houseplants that thrive on sunny windowsills. Plant miniature roses in all-purpose potting soil. Provide adequate drainage by covering the drainage holes with pebbles or broken shards from clay pots. Grow on a sunny windowsill. Some require supplemental lighting. Watch your roses for signs of inadequate light. If the stems stretch leaving bare spaces between leaves, it may be an indication that the rose bush is reaching for more light. 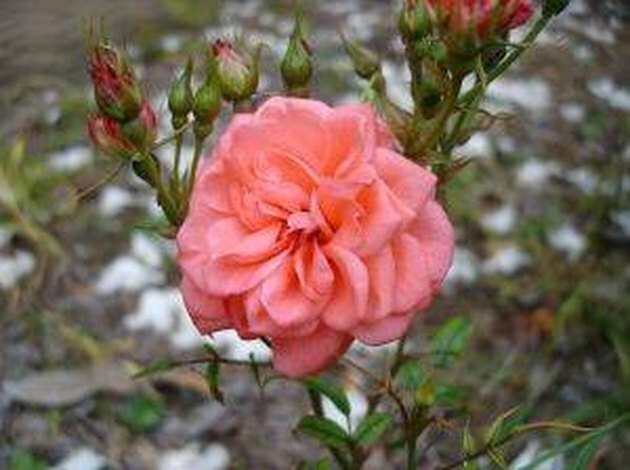 A miniature rose should be short and compact with full foliage. Pinch out new growth to encourage the plant to bush out. This creates a full plant with abundant foliage. If the plant still stretches for light, you may need to add supplemental lighting. You can purchase grow lights for plants at your local hardware or garden supply store. Place the pot on a pebble tray. Add water to cover the pebbles. The bottom of the pot should rest above the water level. As the water evaporates, it will provide your miniature rose with the added humidity it desires. Keep the soil moist, but avoid soggy soil. Allow the soil to dry slightly between waterings. 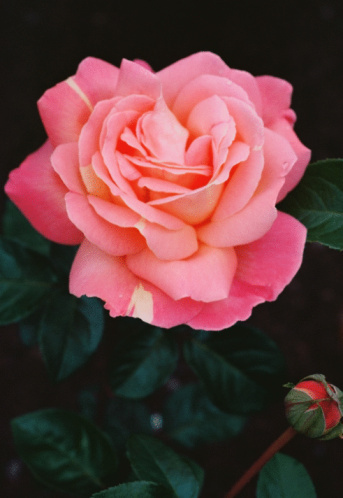 Fertilize with a water-soluble fertilizer designed for roses. Mix the solution to quarter-strength and use to water the rose every seven to 10 days from March until November. Allow the plant to rest during the winter months and resume fertilizing in the spring. Deadhead spent blooms to encourage the rose bush to continue blooming. Removing the flowers before they can set seed; this tricks the plant into thinking it has not produced enough blooms.